Chennai: After a disappointing loss to Mumbai Indians, Chennai Super Kings will aim to return to winning ways when they take on Kings XI Punjab in an Indian Premier League (IPL) contest at the M.A. Chidambaram Stadium on Saturday. Despite a fine start to their campaign, the defending champions lost the plot against Mumbai, thanks to Hardik Pandya’s all-round effort. 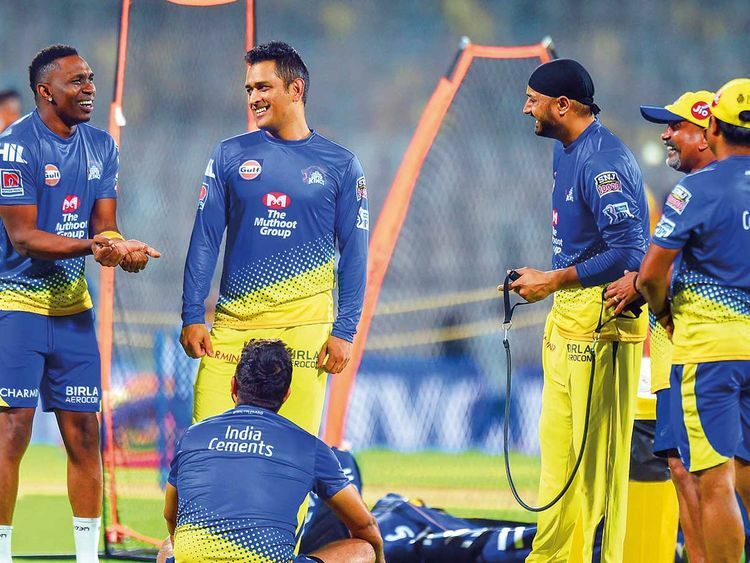 Chennai may have won their first three matches, but the yellow brigade looked helpless in their last game and skipper Mahendra Singh Dhoni will certainly try to bounce back against Punjab at home. Chennai lacked a death-over specialist against Mumbai as the bowlers leaked 48 runs in the last two overs and the team management will have to look for a solution. Dhoni made a change in his team against Mumbai and is likely to revert to their original playing eleven, which was fruitful for Chennai in the first three games. Dhoni, who had added an extra pacer in Mohit Sharma, may look to bring back either Harbhajan Singh or Mitchell Santner for the match in Chepauk, which has assisted the spinners this season. Barring Kedhar Jadhav, no other batsman clicked against Mumbai. However, playing at home would be an added advantage and looking at their batting line-up which features Suresh Raina, Shane Watson, Dhoni, Ambati Rayudu and Dwayne Bravo among others, Punjab should not take the yellow brigade lightly in their fortress. On the other hand, Punjab have also performed decently so far having won three of their four affairs. But skipper Ravichandran Ashwin must be knowing that Chennai is an extremely difficult team to beat at home. Ashwin didn’t include opener and self-proclaimed ‘Universe Boss’ Chris Gayle in the last game against Delhi Capitals as the opener was said to have been stiff. But Ashwin will look to bring back the senior pro in a high-voltage game. Looking at Chennai’s average bowling attack, Gayle could be the perfect man to open the innings for KXIP. Also, David Miller, Mandeep Singh and Sarfaraz Khan add depth to Punjab’s batting line-up but will have to come out with something special to handle the Chennai bowlers in their own backyard. In the bowling department, Punjab could add Varun Chakravarthy in the team as the mystery spinner has played his whole life at the Chepauk and knows the track better than most. Chakravarthy was expensive against Kolkata and was made to sit out in the next two games after conceding 35 runs from three overs. However, the spinner has the ability to turn things around, moreover at home. Their bowlers — Mohammed Shami, Hardus Viljoen, Aswhin and Andrew Tye — haven’t been among wickets this season, but the best thing about Punjab is the entire team has clicked as a unit and will have to replicate the show in order to bring more sorrow to the Chennai camp. Overall, another edge of the seat thriller can be expected as it will be the clash of the ‘Kings’ on Saturday.